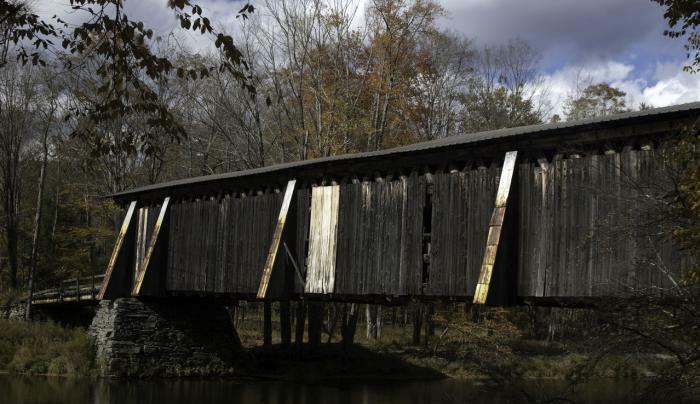 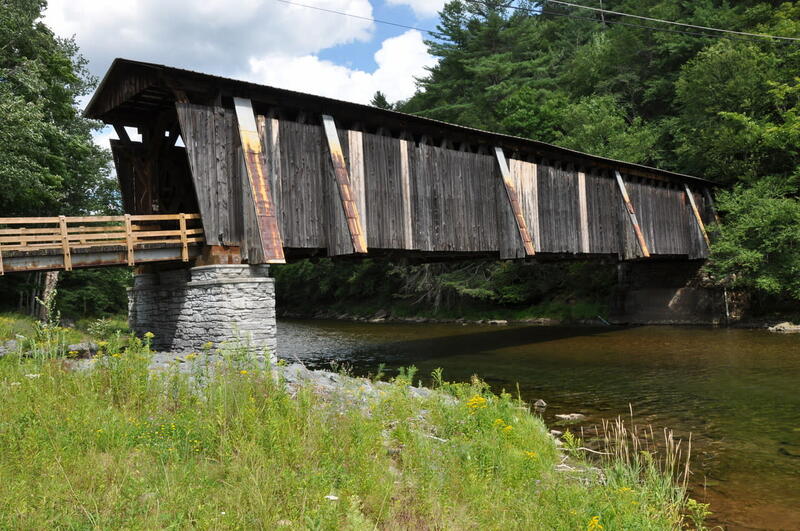 One of four covered bridges in Sullivan County. 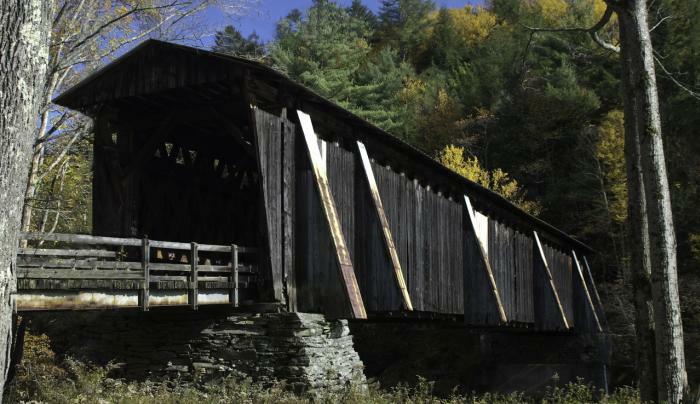 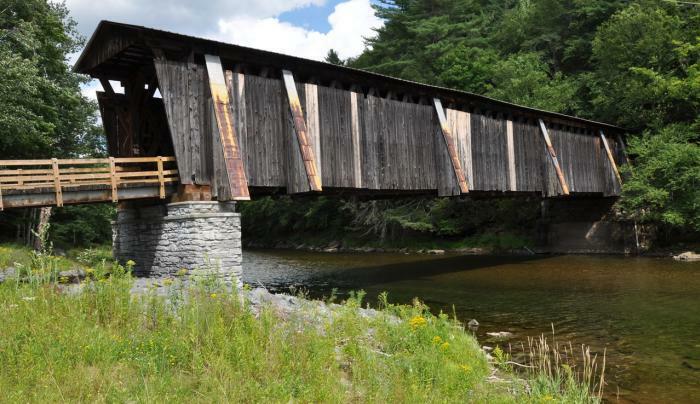 Built in 1912, this 119' clear span structure incorporates the Town lattice truss design. 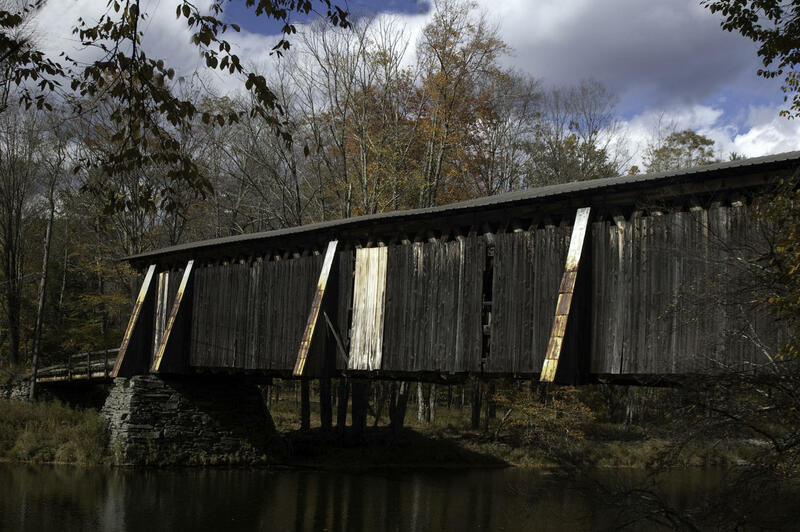 This is the last remaining symbol of the early settlers in the area led by John Hall, Quaker preacher. 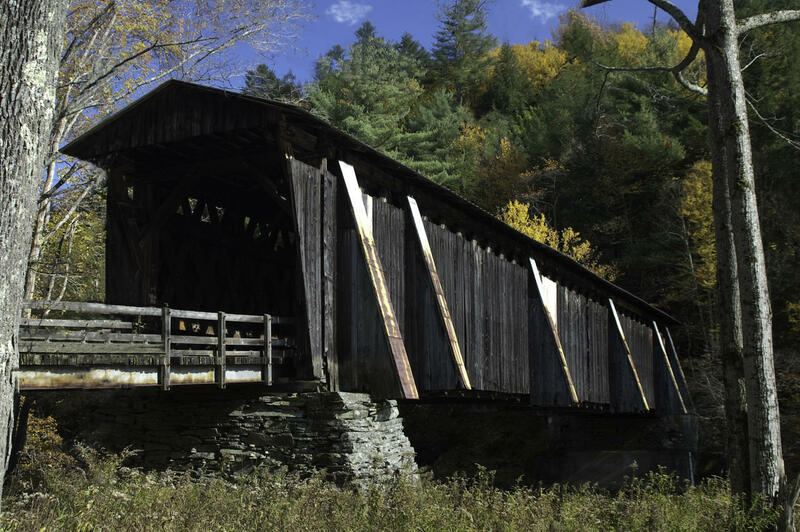 The bridge was built with six buttresses and a timber approach.